In May 2015, 17 Purdue CE students visited Stockholm, Sweden, to study environmental sustainability across multiple sectors. The week-long session was led by Inez Hua, professor of civil engineering and professor of environmental and ecological engineering, and Jill Churchill, undergraduate international programs coordinator in the Office of Global Engineering Programs. 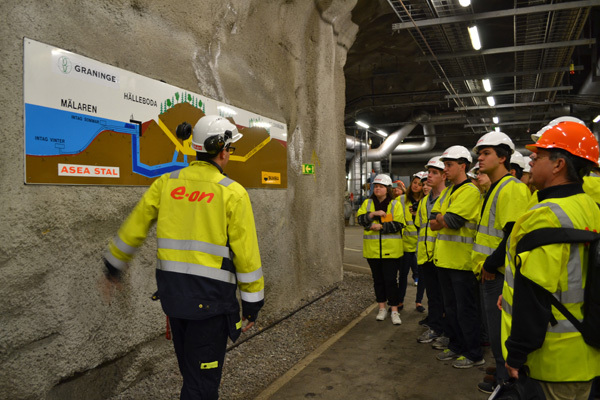 Students participated in lectures at KTH Swedish Royal Institute of Technology, toured industry sites, observed water treatment plants in action and visited energy-generation facilities. They experienced first-hand how Sweden has achieved greater independence from fossil fuels by using cold seawater from the Baltic Sea, for instance, to fulfill most of its cooling needs since 1995. After seeing this, students said they have newfound appreciation for the principles of thermodynamics. "Visiting Sweden to be able to see and understand the successful application of innovative technologies was an unbelievable learning experience,” said Julie Woodworth. “I look forward to making a positive impact in the US, as so many of the people we met in Sweden have had on their country." Annual Maymester and other study abroad programs give students the opportunity to think and act locally and globally and to enhance critical thinking skills. Student participation in study abroad programs is increasing across campus thanks to more funding available through the Purdue Moves initiative. For more information on study abroad programs available to students in the Lyles School of Civil Engineering, visit CE Global Programs. 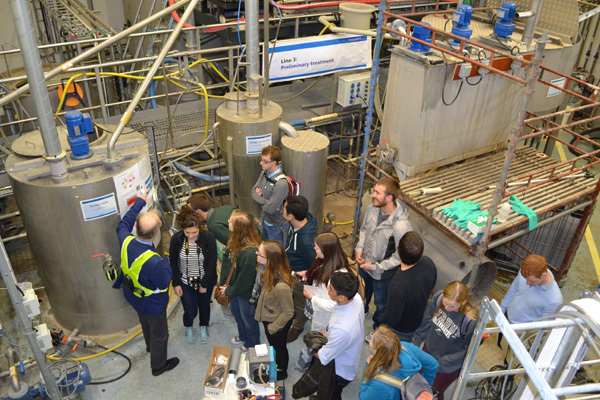 Purdue students touring a wastewater research facility, Hammarby Sjöstadsverk. Throughout the course of this past year, the students learned a lot about cutting-edge research related to wastewater treatment. They got to see this research put to action during their visit to Sweden. Purdue students touring a district heating plant in Jarfälla, Sweden. During the visit, students were able to see the equipment and principles they studied, being put in action. 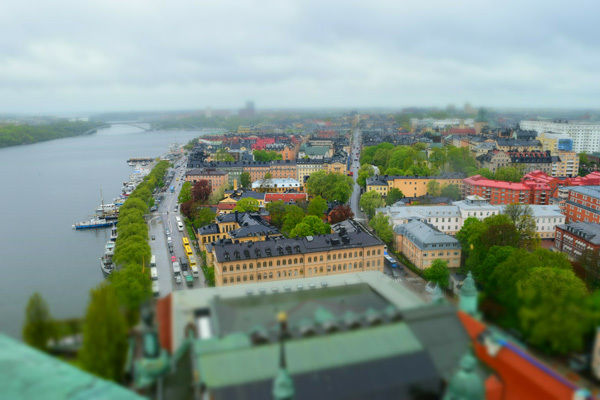 View from the top of the tower at City Hall in Stockholm, overlooking a portion of the city. Photo by Civil Engineering student Shannon Gunn.